Anyone visiting the bottom end on Central Road today can't help but have noticed the larger than usual amount of rubbish strewn over the pavement. A quick inspection of the rubbish showed it had come from the Post Office. 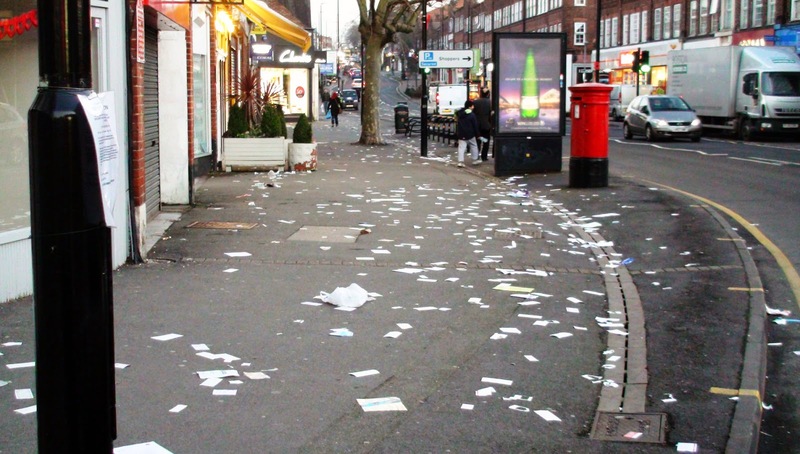 According to a gentleman in the shop there, the previous night drunken youths had taken all the post office rubbish which was out for collection and emptied it leaving the wonderful creation for us all to enjoy.